Wayne Rooney – Move. Run. Sports. 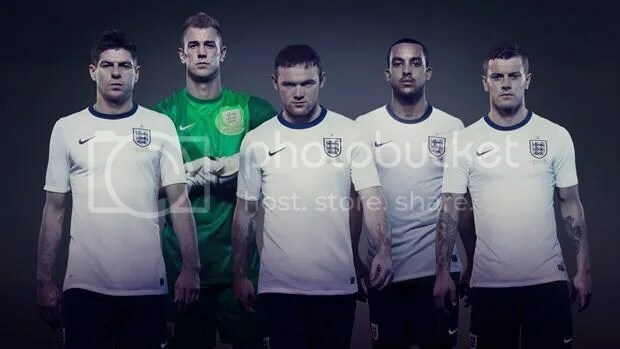 When it was announced that England and The FA signed a new deal with Nike, moving away from Umbro after pretty much forever everyone has been waiting to see what the new strips are going to look like. The first to be released is the new home strip. My initial thoughts about the shirt were that it looks very German. This is something I have read in a few different places as well, it seems as though we keep trying to copy off the German’s at the moment whether it comes to coaching/set up and now it’s the shirt. 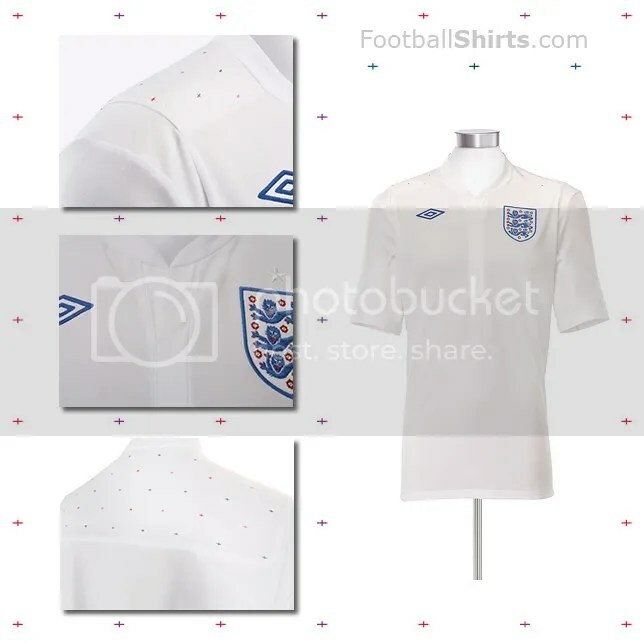 The new home England kit had a picture released earlier this week and was worn for the first time last night in the European Championship qualifier against Bulgaria which was won 4-0 by England with a hat trick from Jermain Defoe and a first international goal from Adam Johnson. The picture released might be seen as quite controversial as it does not have a lot of big name players in. Containing a couple of the senior squad and a mix of younger players. Very disappointing that they did not get a couple of the actual women players as well! The blue shorts and blue trimming on the shirts make it look different to the last home kit, but that is the main difference. I did not care at all who won this game and was disappointed when Wayne Rooney started on the bench. I really do think he’s just unstoppable at the moment. I just wanted to see a good game of football and it wasn’t too bad at all. The main talking point is still that Vidic should have been sent off for the penalty given against him in the 5th minute with James Milner (Newcastle reject??!?!) slotting it home to put Villa ahead at Wembley. Another Newcastle reject popped up for Man Utd to equalise . . .that man being Michael Owen . . . who then went off injured. Can’t say I was unhappy to see him go off injured after the way he was at Newcastle. 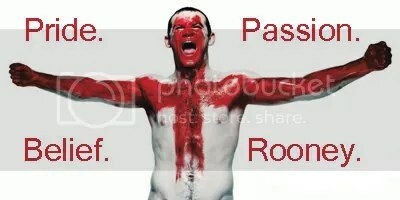 But that meant Rooney was coming on!